We are an institution under public law and we also exercise sovereign functions as a transit authority. We are the Water Authority in the port area and have a wide range of tasks in the construction supervision and environment unit. The HPA is therefore your point of contact for all issues relating to water- and landside infrastructure, the safety of ship traffic, Port Railway faicilities, real estate management and the economic development of the port. Together with all those who use the port infrastructure every day, we ensure everything runs smoothly. 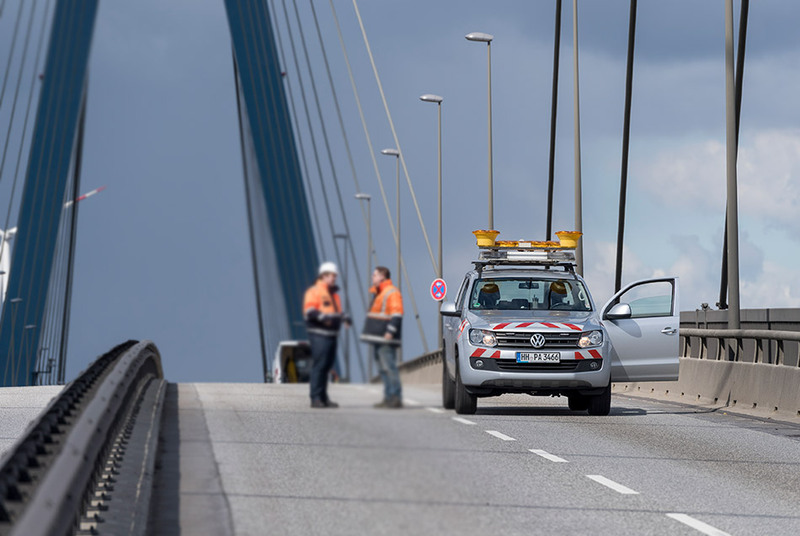 The HPA is in accordance with the Hamburg Public Roads, Lanes and Pathways Act (Hamburgisches Wegegesetz (HWG)), the Authority in charge of building and maintaining public roads, lanes and pathways and the Regulatory Authority in charge of public roads, lanes and pathways. One of our diverse areas of responsibility is also the granting of permits for the use of public roads and routes in the port area. As a water Authority, we monitor the condition and use of water bodies and flood protection systems, and function as Dyke Control Office and Supervisory authority in charge of defence polders in our area of responsibility. 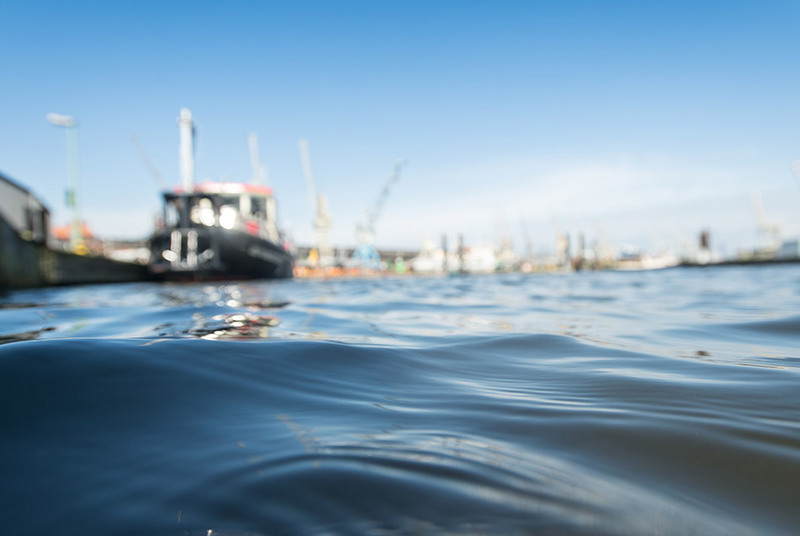 We are responsible for water permits and Approvals pursuant to the Hamburg Ordinance on Public Flood Defence Facilities as well as for Permits issued pursuant to defence polder laws. A wide range of tasks is bundled in the construction supervision and environment unit. The development projects in the port of Hamburg form the focus here. 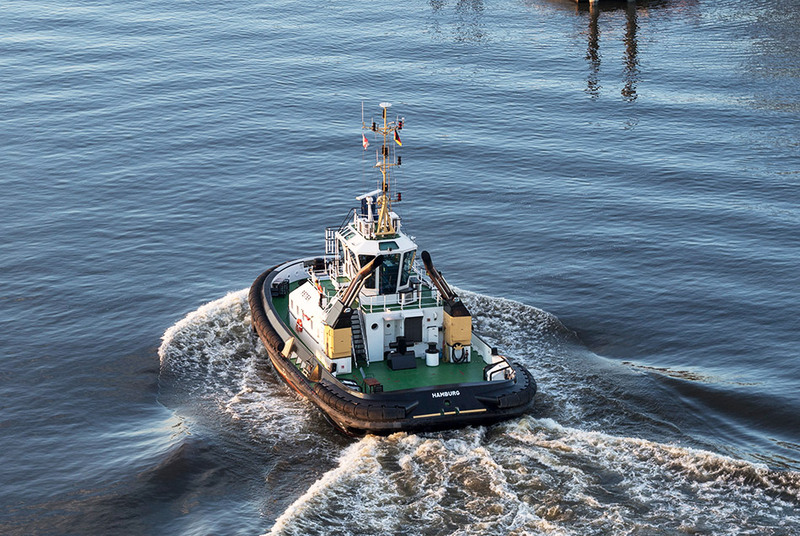 In addition to consulting and service offers that are primarily aimed at customers within the HPA, we also play an important role in the perception of the public service responsibilities of the Hamburg Port Authority towards our port customers. We are closely networked with the other authorities in Hamburg. Werner, Ralf Finanzen - Maritime Commercial Management -13- Ihr Ansprechpartner: Für Fragen zur Anmeldung, Abmeldung, Entgeltrechnung für Binnen- und Hafenschiffe. Liebert, Claudia Finanzen - Maritime Commercial Management -13- Ihr Ansprechpartner: Für übergeordnete Fragen der Hafennutzungsentgelte für Seeschiffe. von der Mosel, Wolf Leiter Finanzen - Maritime Commercial Management -13- Ihr Ansprechpartner: Für übergeordnete Fragen zu sonstigen maritimen Angelegenheiten. Hain, Marit Finanzen - Maritime Commercial Manager -13- Ihr Ansprechpartner: Für übergeordnete Fragen zu maritimen Angelegenheiten der Binnen- und Hafenschifffahrt. Schlenck, Jakob Hafengeldstelle -13- Ihr Ansprechpartner: Für Fragen zur Hafengelderklärung, Hafengeldrechnung für Seeschiffe. Fuest, Alexander Hafengeldstelle -13- Ihr Ansprechpartner: Für Fragen zur Hafengelderklärung, Hafengeldrechnung für Seeschiffe. Bei vereinfachten Baugenehmigungsverfahren: zuständig ist der jeweilige Fachbereich Bauprüfung des Bezirks bzw. der HPA . The Port of Hamburg is constantly developing and changing. Associated with this are numerous structural engineering projects within the port that are carried out every year. Amongst these are new building projects started for logistics centres and warehouses, office and social buildings as well as workshops and paved areas and even oil terminals. Where existing building stock is concerned, the work involves rebuilding and conversions of both buildings and industrial plants. For most of these projects, a building permit is required. The Building Control Authority of the Hamburg Port Authority, rather the Development Projects Division, is responsible for the processing of building permit application throughout the port's area of activity. In general, building permit applications in Hamburg are processed by the Building Control Services Office. 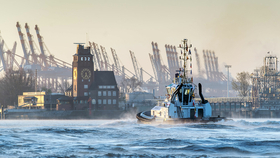 However, since 01 October 2006, when the Hamburg Senate decreed otherwise, the Hamburg Port Authority has been responsible for the processing of building applications within the Port of Hamburg rather than the Building Control Services Office. The tasks of the Building Control Authority include the advising of industrial companies, architects and construction companies in the execution of planned building measures in the dedicated port area of activity in respect of public service issues, the processing of approval processes according to Sections 61, 62 and 63 of the Hamburg Building Ordinance (HBauO), the awarding of corresponding approval decisions and repressive actions in the event of structural issues. In the concentrating official building approval process in accordance with Section 62 HBauO, the most frequently implemented approval process, all necessary public service decisions are gathered from the responsible positions by the Building Control Authority as the process manager and consolidated in an administrative measure (building permit). This central permit contains all essential authorisations that are necessary for the execution of a building project. Moreover, the named tasks are administered within the scope of Immission control procedures (approval process according to the Federal Immission Control Act – BImSchG). The Hamburg Port Authority administers exceptions to the ordinance on warfare agents. Do you want to erect a building or change a building's use within the dedicated port area? Do you want to submit a Building permit application or clarify a Binding decision by a building permit authority delivered prior to submitting a building permit application? Do you want to know if a project requires a building permit? Do you intend to set up an advertising panel, set up a Portakabin office, arrange a music festival or even erect a power station? For these and other questions about official building approval process and information about development options within the Port of Hamburg (Dedicated port area) we are your competent point of contact. We, the Water Authority of the HPA, monitor the con­di­tion and use of wa­ter bod­ies and flood pro­tec­tion sys­tems, and func­tion as Dyke Con­trol Of­fice and Su­per­vi­sory au­thor­ity in charge of de­fence pold­ers in our area of re­spon­si­bil­ity. We are re­spon­si­ble for wa­ter per­mits and Ap­provals pur­suant to the Ham­burg Or­di­nance on Pub­lic Flood De­fence Fa­cil­i­ties as well as for Per­mits is­sued pur­suant to de­fence polder laws. As the Authority in charge of public roads, lanes and pathways, the HPA performs Statutory duties and grants approvals for the use of the public roads and highways in the port area. HPA therefore acts as the Authority in charge of building and maintaining public roads, lanes and pathways and Regulatory authority in charge of public roads, lanes and pathways in accordance with the Hamburg Public Roads, Lanes and Pathways Act and undertakes the following tasks. Unregistered vehicles may not park on public roads. The highways authority monitors this and arranges to have the vehicles towed away free of charge if necessary. All newly built roads and highways must be officially transfered into public ownership, provided they are intended to be made available to public traffic. The granting and withdrawal of this legal ­sta­tus is undertaken by the HPA as the highways authority. An excavation­ permit must be obtained for excavations affecting the carriageways of public roads and highways and adjoining areas. Since the beginning of 2013, applications can only be made electronically, via the In­ter­net. Constructing and altering access roads also requires the approval of the Authority in charge of building and maintaining public roads, lanes and pathways. The necessary application ­for­m can be requested from the Authority in charge of public roads, lanes and pathways by e-mail. Any use of public land that extends beyond public use requires approval. The Authority in charge of public roads, lanes and pathways team will be happy to advise applicants and accept their requests through their e-mail addres­s. Route approval is required for all supply and disposal pipes, which are newly installed in the roads or which will significantly alter existing routes. This is undertaken almost exclusively by the pipeline company. Applications are submitted to the Authority in charge of public roads, lanes and pathways. As the Local Nature Conservation Authority in the dedicated port area, the HPA administers numerous regulatory tasks in respect of nature and landscape conservation. It is responsible for control and monitoring tasks that arise from the implementation of national and international legal regulations. If any of these topics are relevant to your planning, then please contact us early on in the process. We will provide you with comprehensive advice so that your planning is ultimately legally secure. Land use planning within the Port of Hamburg takes place using its own planning law according to the Port of Hamburg Development Law. Planning through the use of development plans according to the Town and Country Planning Code does not occur in the port of Hamburg. The port area is subdivided into the dedicated port area and the port's expansion area. The dedicated port area is already claimed for port activities. Here activities arising from port traffic, trade associated with the port and port industry are permitted. The port planning law is used to ensure that areas which can be used for port purposes are used for these purposes so that the scarce land resource is used efficiently. A further planning control can be provided by port planning byelaws which are currently applicable in the Altenwerder, Upper Elbe and Kleiner Grasbrook/Steinwerder areas. The question of whether a development or a new use adheres to these rules is automatically checked as part of each building application. The Soil Protection Authority implements the regulations of the Federal Soil Protection Act. The purpose of the Federal Soil Protection Act is to permanently protect the functions of the soil or, where necessary, to recreate its functions. The Soil Protection Authority is moreover the point of contact if you have any questions about warfare agent ordinance. In particular the Hamburg Port Authority, is responsible for administering exceptions to the ordinance on warfare agents.